In a 2015 Music Week report titled “The growth engine of the music industry,” Fintage House music division president Andrew Gummer was quoted saying, “Neighboring rights is a fascinating market… growing when not much else seems to be.” It’s no secret that the last few years have seen a dramatic increase in revenue from streaming services, and it’s no surprise that digital revenue now accounts for more than half of the recorded music market globally. But there is another revenue source that, although perhaps not as well-known, has been showing a steady increase in revenue for years, and that is public performance. According to IFPI’s 2016 Global Music Report, public performance collections — sometimes referred to as neighboring rights — has been one of the most consistently growing revenue sources for labels and artists in recent years. In fact, the same report states that public performance “now accounts for 14 percent of the industry’s overall global revenue,” up from ten percent in 2011 and more than doubling in the last ten years. Given the ever-increasing popularity and effectiveness of public performance collections, we thought we’d provide a refresher on just what public performance is, and how The Orchard’s Performance Rights Services department helps to maximize your earnings and your exposure. Public performance is just what it sounds like: a track played publicly, usually via television or radio, in social settings like malls, restaurants, hotels, bars, and anywhere else music is overheard — even on-hold music can be considered a public performance! Revenue is then generated when a track is played by a digital retailer (such as Pandora or Sirius XM) in said public space, and reported to what is known as the collection society for that territory or country. Collection societies gather this data — often thousands and thousands of tracks — then pay labels, artists and distributors who own the master rights or have the right to collect on behalf of the master rights owners. 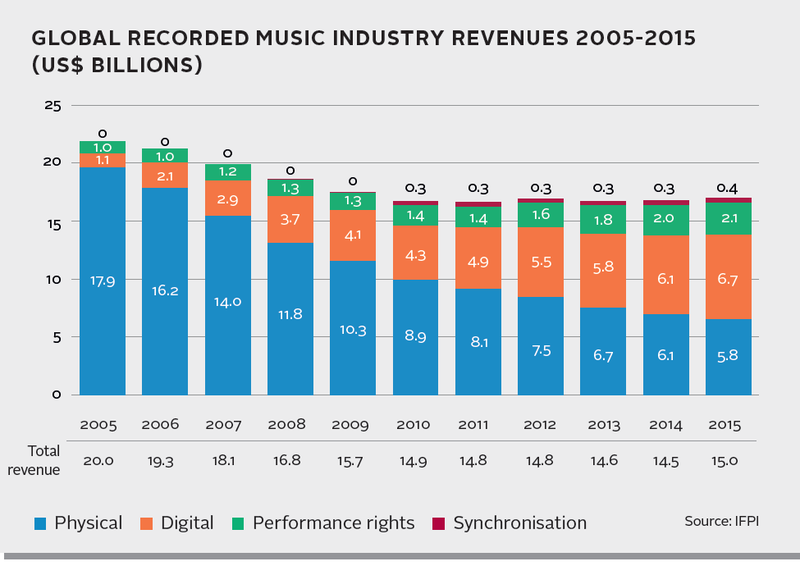 According to the IFPI Global Music Report, the total income paid to artists and labels in the last year was US $2.1 billion, just over the $2 billion paid out to artists and labels by on-demand streaming platforms. And with so many outlets and potential markets, it’s no wonder public performance has such a significant revenue potential. 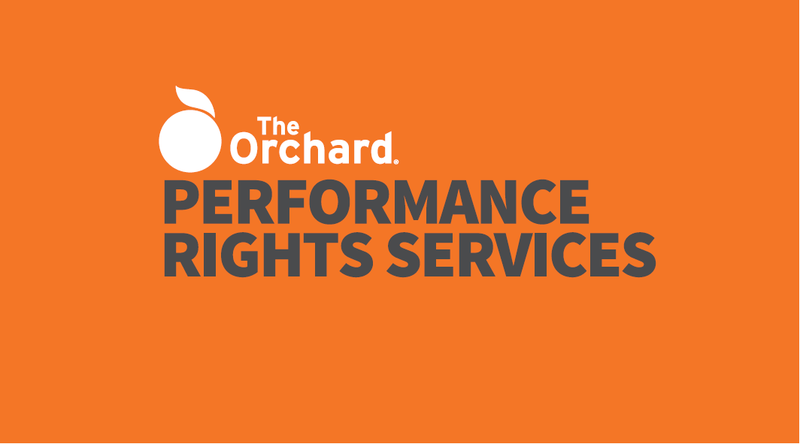 So how does The Orchard’s Performance Rights Services team bring that revenue to you? For one thing, The Orchard has worldwide representation on the ground, as well as direct relationships with over thirty of the world’s largest collection societies. This means we have direct contacts with societies such as SoundExchange (US), PPL (UK), CONNECT (Canada), GVL (Germany), Abramus (Brazil) and PPCA (Australia), as well as many more. We send your catalog to these societies, who store it in their databases. Once retailers let them know which songs have been played, they match them to your catalog and pay out accordingly. For instance, just one song has the potential to earn revenue in the U.S., Hungary, and Malaysia simultaneously! We also work with our clients and societies to determine which tracks are popular in which territories, maximizing exposure. Is bachata all the rage in Latin American clubs? We’ll be sure to deliver your dance tracks to Latin American societies. Do you know your heavy metal catalog performs well in the Nordic region? We’ll work with the collection societies in those territories to make sure you’re getting paid for every stream on a metal bar’s Internet radio. Additionally, we align ourselves with The Orchard’s Retail Marketing Department to identify current trending tracks to make sure we’re monetizing quickly and pitching popular songs to broadcasters in important territories. In an industry that has seen a lot of change in recent years, it’s exciting to see one aspect grow consistently with no signs of slowing down anytime soon. It’s a great time to start utilizing the power of public performance collections, and the future is looking even brighter.